CONVENTIONAL LEAD-ACID battery is made from antimony lead alloy that are able to withstand high temperature and heavy charge / discharge characteristic. This type of battery can be supplied in dry charged condition, giving longer storage time provided it is properly sealed. 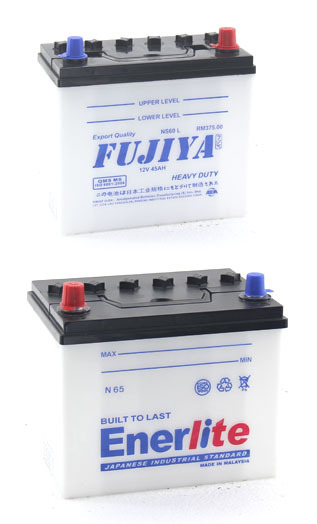 To wet down this battery, it must be filled with the manufacturer’s recommended concentration electrolyte (sg level) and boost charge the battery for maximum performance, this procedure can be handled easily with the proper equipments. These batteries are made for heavy duty usage with our special designed plates, it has been used in most automotive vehicles across the world.